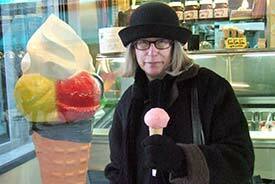 An introduction to Italian ice cream, with a guide to Venetian gelaterie. 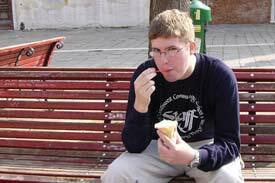 ABOVE: An American visitor enjoys limone gelato from Il Doge on the Campo Santa Margherita. 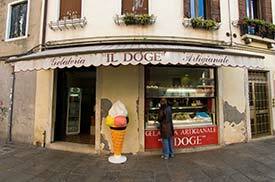 Gelato, the Italian ice cream, is one of the best food bargains in Venice. For €2 or less, you can buy a cone or cup of tasty gelato made with milk, sugar, and flavorings that range from fresh fruit to coffee, hazelnuts, or tiramisú. Take-out windows or shops, which serve impulse buyers and hungry pedestrians. Gelato freezer cases in bars and cafés. Sit-down cafés where you can order gelato, sundaes, and other concoctions by the bowl or glass. The best gelato comes from artigianale or artisanal producers who make fresh gelato every day on the premises, but there's no need to be obsessive about labels: Any gelato is better than none, and if you want something even better, you can always try the next gelateria and the one after that. When ordering from a take-out counter, ask for a cono (cone) or coppa (cup) and indicate the flavors or number of scoops that you want. Pointing and holding up fingers are acceptable, although most gelaterie have English-speaking staff. Don't order more than two scoops in a cone (especially in warm weather), because gelato melts more quickly than butterfat-rich American or British ice cream does. 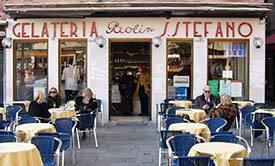 Il Doge, on the southern edge of the Campo Santa Margherita, has been a longtime favorite with our family. Try the tart and refreshing limone, which is reminiscent of a French sorbet. La Boutique del Gelato gets a big thumbs-up from us, and from the three Venetian guides who operate WalksInsideVenice. It's also recommended by several guidebooks. 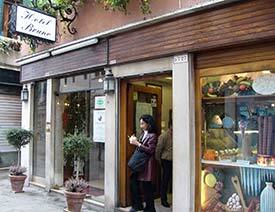 The tiny shop is on the Salizzada San Lio in Castello, not far from the Campo Santa Maria Formosa. 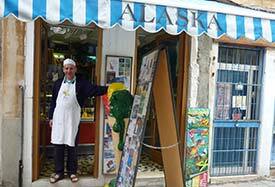 Alaska is run by an ice-cream artisan named Carlo Pistacchi who creates imaginative--and often delightful--gelato flavors from such unlikely ingredients as carciofi (artichokes) and cardomom. 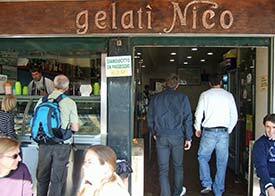 Nico, a popular gelateria and bar on the Zattere in Dorsoduro, is more expensive than most of its rivals. Still, the location is hard to beat: You can enjoy a gelato or an ice-cream concoction as you watch ferries, vaporetti, and ships cruise along the Giudecca Canal. 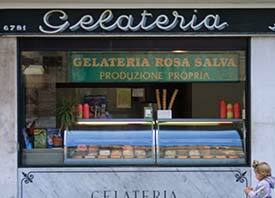 Gelateria Rosa Salva, on the Campo SS Giovanni e Paolo, is a popular stop with tour groups. Its prices are stiff, and portions are downright stingy. Gelateria C'a D'Oro is hard to miss if you're walking from the railroad station to the Piazza San Marco or vice versa: It's on the Strada Nova, the main pedestrian route through Cannaregio, just west of the Campo SS Apostoli. Prices are reasonable, the gelato is tasty, and the shop is open until fairly late in the evening. Grom, an Italian company founded in 2002, has built a cult following with its organic ingredients, sustainability, and gluten-free certification. The last time we checked, Grom had stores on the Campo San Barnaba, in the Strada Nova, and in Venezia Santa Lucia Railroad Station.